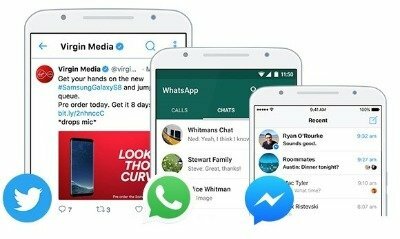 Virgin Mobile Review (2019): Get data free messaging on WhatsApp! Virgin Mobile uses the EE network to provide the best network coverage & fastest speeds in the market. With competitive pricing, combined with customer perks such as data rollover & free data schemes, Virgin Mobile bring a lot to the table. 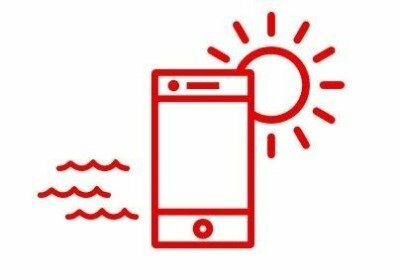 Virgin offers generally cheaper deals than several its competitors & with access to over 3.5 million free Wi-Fi hotspots, data rollover & free data when using WhatsApp, Facebook Messenger & Twitter – Virgin are one of the more well-rounded, cheap & cheerful MVNO providers available today in the market. Click here to go direct to Virgin Mobile’s website and see their latest SIM offers. Otherwise read on for our full Virgin Mobile Review or skip to a specific section from choosing from the table of contents below. Virgin Mobile is virtual network, meaning it runs on one of the big 4 networks. With Virgin Mobile, you will get access to the EE network which has 99% population coverage for 4G and have also committed to 95% geographical coverage by 2020. EE constantly leads the way with rolling out and improving their 4G network with Root Metrics awarding them for best network coverage for 5 consecutive years. 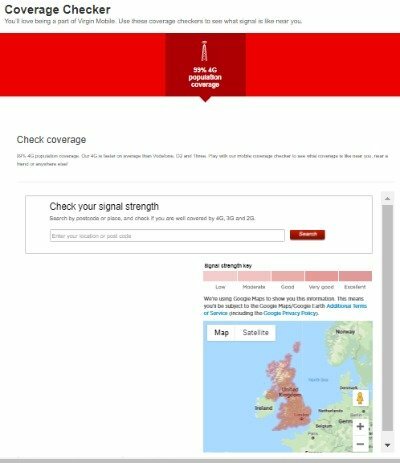 Despite this we recommend using the coverage checker on Virgin’s website to ensure you get strong network coverage in any areas that you use your mobile device. Another benefit of joining Virgin Mobile is that you will get access to the super-fast speeds available to EE customers. Per Open Signals 2018 testing EE leads the way with average data speeds of 29 MB/s with their closest rival Three tracking behind at 23 MB/s. Again when assessing the voice call quality available on a Virgin Mobile SIM we need to look at how EE has performed in recent tests with no Virtual Network tests currently available. EE provides 2G, 3G and 4G coverage to its customers and with its investment into 4G calling you can feel comfortable that you will great call quality with Virgin Mobile. Looking at P3’s recent tests EE performed ahead of its competitors (Vodafone, Three & O2) for voice call quality. They were ahead of the pack due to their audio quality & connection times. However despite this Virgin Media currently don’t have access to 4G calling as EE customers do. This is sometimes limited by networks as it leads to heavy data usage and reducing the space on the network and slowing down the network for other customers. Virgin Mobile now offer tethering on all their pay monthly plans. This is great for customers as they have the flexibility to use their data exactly how they want. You should note however, that tethering will lead to your data allowance being used up much faster than usual and we recommend checking Virgin Mobiles out of plan charges. With new roaming regulation changes that came into effect in the summer of 2017 you can expect to get free roaming in EU destinations as part of your plan. This means 43 EU destinations are available to Virgin Mobile customers inclusive of their SIM only, pay monthly or mobile phone contracts. Despite this, you will find some restrictions. When it comes to roaming, you aren’t able to use the total available data allowance, you will need to calculate this on their site as it varies dependent on what plan you are on. After you use up your available allowance, roaming begins to get very pricey with Australia having a £5 roaming per MB price which equates to £5,000 for 1GB of usage. We recommend checking exactly how much data you can use abroad so you don’t get any bill shocks! Wi-Fi calling gives customers the ability to use a Wi-Fi connection to make phone calls and send texts instead of using the 3G or 4G network. This is a particularly useful perk when customers find themselves somewhere without a mobile network connection but are connected to Wi-Fi. Unfortunately, this is not something currently offered to Virgin Mobile customers. This is disappointing with several competitors now offering Wi-Fi calling. Wi-Fi hotspots are now commonplace with many restaurants, bars & shopping centres offering free Wi-Fi. This is a great way to save on your data allowance and Virgin have a great Wi-Fi hotspot scheme to add to this, offering over 3.5 million hotspots in the UK. It is also straightforward to use. 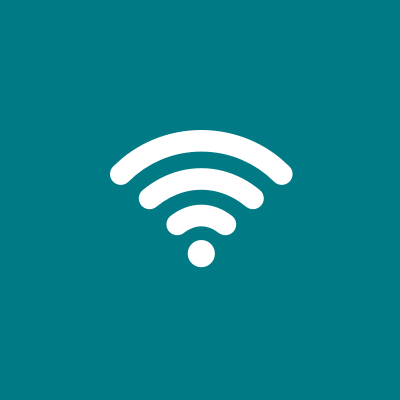 Simply download the app & log in and when you’re close to a Wi-Fi hotspot you will automatically connect. 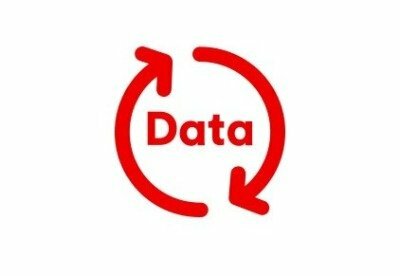 Data rollover gives customers the ability to save the data they haven’t used and use it later. For e.g. if you have a 3GB plan and only use 1 GB, the following month you would have 5GB as the 2GB would have rolled over. This is a great perk available to all pay monthly Virgin Mobile customers. You will be able to roll over any data not used to the following month. Despite this, Virgin Mobile is a bit limited to some of its competitors with Sky offering up to 3 years roll over on data and SMARTY offering you money back on any data you don’t use! Some networks are now offering customers discounts on any additional SIM or phone contract purchases they make to incentivise people to sign up their family & friends. Unfortunately, this isn’t a perk currently offered by Virgin Mobile. However, with the competitive pricing currently available with Virgin Mobile you might find even without any family plans you will be paying less than with a number of other networks. If you are already a broadband or TV customer with Virgin Media, you can get access to an exclusive unlimited data plan either through a phone contract and SIM only contract. Customers can also earn cash rewards of up to £100 if you get a friend to join the network through the refer-a-friend scheme. Beyond this the perks are fairly limited with unlimited calls to virgin mobile numbers for TV or broadband customers. Unfortunately, there are no regular perks such as free drinks/meals and discounts at popular retailers such as you get with the likes of O2 Priority and Three’s Wuntu app. Inclusive subscriptions is one perk now being offered by some of the networks. EE offers access to the BT Sport App & Apple Music, Vodafone offer Spotify, NOW TV or Sky Sports Mobile TV. Virgin Mobile offer free access to an internet security service called F-Secure Safe for 12 months on up to 5 devices. This provides protection from viruses and filters internet content not suitable for children. You also don’t need to provide any bank details so it won’t sneakily auto-renew like some other schemes. Virgin Mobile also offers free data streaming for SIM only and phone contract customers. Free steaming is on the popular messaging apps WhatsApp, Facebook Messenger & Twitter. This is a great perk currently only offered by a small number of networks that will help save on data usage. Virgin Mobile currently has 5 different SIM only offers ranging from 1GB of data to Unlimited Data (Although this is exclusive to Broadband and TV customers). Their SIM only deals start from only £7 to £25. These deals are all on 12 month contracts. Virgin also offer phone contracts. These range from your high end devices such as Apple & Samsung, your mid-range android devices down to your cheap basic handsets. Virgin has incredibly flexible deals with your phone effectively considered a loan. This means you can simply upgrade or purchase a new handset by paying off your mobile device whenever you like. However, despite this there are some downsides to Virgin’s deals. Their cheapest pay monthly phone deals are 36 months which is a long time to be tied down to a deal. The monthly cost is lower but you will likely be paying more over the total length of your contract. Virgins PAYG deals also only let you use 3G and have no 4G access. If you are interest in a PAYG SIM we recommend purchasing a JAM pack to get better rates but be aware your data speeds will be restricted to the speeds offered on 3G. Click below to follow through to Virgin Mobile’s SIM only and Phone Contracts. Network Coverage and Speeds – Utilising the EE network, Virgin will have you covered with the best coverage & fastest speeds. International Roaming – Access to 43 EU destinations but your data allowance is capped dependent on your plan with out of plan charges expensive. Wi-Fi Calling & Wi-Fi Hotspots – Access to 3.5 million Wi-Fi hotspots nationwide but no Wi-Fi calling yet. Data Rollover – Roll unused data over to the next month. Multi Buy Discounts/ Family Plans – Competitive pricing means no family plans offered to customers. Customer Rewards – Get a discounted unlimited data plan if you are a broadband or TV customer & earn up to £100 for referring a friend. Other Perks – Free data usage on popular messaging apps such as WhatsApp & a free 12 month subscription to F-Safe Secure to protect from viruses & hackers. 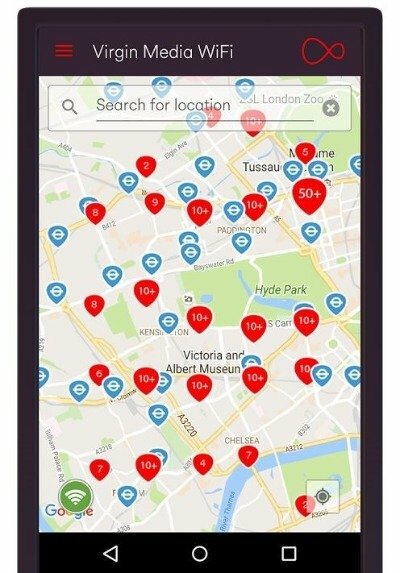 Virgin Mobile utilises the EE network to run which means they have the best coverage in the UK and access to the fastest data speeds in the market. At the same time,Virgin offers generally cheaper deals than several its competitors & with access to over 3.5 million free Wi-Fi hotspots, data rollover & free data when using WhatsApp, Facebook Messenger & Twitter – Virgin are one of the more well-rounded, cheap & cheerful MVNO providers available today in the market. Next articleVodafone Review (2019): Get free meal deals & discounts with popular brands through VeryMe rewards!